A Professional who relates well with people of all types – takes an interest in them, their needs and goes all the way to get them their desired outcome. With over 12 years experience in hospitality – he brings a high level of customer care and service. A Top Achiever, he is testament to the benefits of providing people with right advice, service and working to the needs of his clients. Hardworking by nature, Mehul knows what it takes to deliver in real estate – perseverance, a positive attitude and a total commitment to his customers. 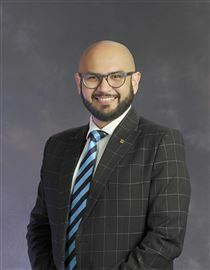 Genuineness and care, are a way of life for Mehul Mehul is a patient listener who understands his clients needs and expectations and his philosophy is to give his clients a better service every time by communicating with them throughout the sale process. For any of your Real Estate needs – look no further and call Mehul to experience the difference. 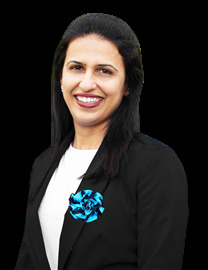 "Committed to Achieving Customers Satisfaction" - TESTIMONIAL - Reference for: Mr. Mehul Mody – Harcourts – Shelter Realty Ltd. From: Murad Padania and Varsha Asrani Address: 21A Caronia Crescent Lynfield, Auckland 1042 & 2/382 Hillsborough Road, Hillsborough, Auckland 1042 BIG….BIG…. thanks to Mehul for helping us with our endeavours in real estate. Mehul assisted us with buying and selling our current properties and in both circumstances we found he was extremely good. Mehul owns great insight and knowledge about Real Estate in NZ. Amidst heaps of agents he stands tall through his professionalism, patience, empathy, dedication and his overall conduct. Mehul displays a solid understanding of the entire process and extends his knowledge beyond the realms of his profession; he is upfront and deals with integrity ensuring great attention to detail. He works with you and in your best interest to achieve positive outcomes. He is extremely calm and composed which are great skills especially needed when clients are standing on the edge during their times of uncertainty. 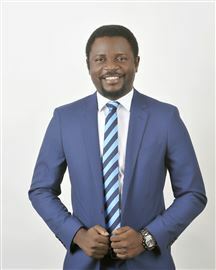 He extends and displays confidence which is infectious and extremely useful throughout the buying or selling process. With great dedication towards his work, he works very hard and extends his working window to suit your availability. His after sales support is phenomenal too and we are extremely touched and impressed with his service. We can comfortably recommend him to any prospective clients and we know in Mehul we have found a friend for life. Mehul – Keep up the fabulous work, you are truly impacting lives, POSITIVELY. - TESTIMONIAL - Reference for:Mehul Mody - Harcourts - Shelter Realty Ltd From: Julie Chandra and Avinesh Prasad Address: 3/125 Donovan St, Blockhouse Bay Sold property 5/29 Exminster Street Meeting this superb person was like meeting an angel who has come in our home with confidence. Mehul is a very good listener and with clear thinking. Confident with lots of knowledge and always kept us updated. Very hard working man with honesty. Mehul goes above and beyond to serve people he is committed to. I really look up to Mehul and the hard work he put in to meet our needs. I wish I met this special person earlier, I would have been in a better home by now and within my area. But Mehul never stopped helping us out and giving us updates/advise on any property we were interested in. You will feel him as your own that you can go on and on and he will just listen with a beautiful smile, and then he will talk and give his opinions. Such a blessed person I have dealt with. Market is full of agents with big names and much more experience, but short of passionate people like Mehul who really take their job seriously and is willing to take the challenge of selling your place as his own. Everyone is there to make quick bucks and move on. Mehul is different. He really understands his sellers, works with patience and does his best to meet their expectations. He is very friendly, hardworking and true professional. I will recommend him to anyone who wishes to sell and buy their house. We wish him success from the bottom of our heart for all his future endeavors. Keep up the great work Mehul. God bless you. Ekta believes that there is always a right property for every buyer and the right buyer for every property. 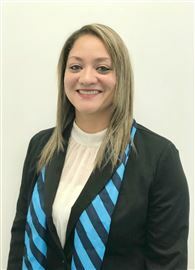 Working on that philosophy, combined with her previous customer service and research analyst experience she is able to relate well to people of all backgrounds and ethnicity guiding them through the process of selling and buying. She is naturally compassionate, empathetic and loves whatever she does which is reflected in her efforts and enthusiasm she puts in in her job. 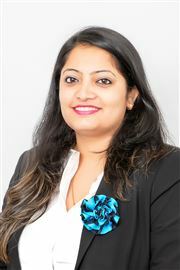 She understands that buying and selling of property can be a daunting task and using her skills she is happy to guide you through the process without any headaches. There is no doubt that she will excel in her role and turn your dreams into reailty. Considering any Real Estate services, why not give her a call – you will find her approach to be simple, genuine and effective. Before joining the team at Harcourts, I have recently worked in telecommunications as part of a highly effective team in a business contact centre for over 2 years. This meant that understanding customers’ needs, thinking outside the box, solving problems, providing solutions and delivering excellent outcomes have evolved to become my greatest strengths. Urgency, communication and service are all in my blood. I enjoy music and the arts especially having played the piano for over 10 years has allowed me to understand the importance of dedication and hard work as well as having a passion for what you do. I bring that passion and drive to real estate delivering results with a sense of urgency and providing excellent service. Call me now and let me help you achieve your real estate goal that you desire and deserve. What I love about real estate is meeting people. I have lived and studied in Auckland for the past 16 years and now call it home. I love the culture of this city and I believe that my ability to interact with the many different nationalities gives me the knowledge and understanding of the different needs and demands that they have. Real estate is an industry where the harder you work the greater the reward. My past experience as a chef and as a sales consultant has given me a broad range of skills in customer service and I am good at adapting to new situations and building relationships with different people. Just sometimes in New Zealand being fluent in both English and Tagalog is of an advantage. For me, it's not just about selling a home, it's about achieving a result that exceeds my client's expectations. For all your property needs, whether you are buying or selling, give me a call. I had almost 10 years customer service experience in New Zealand. Very enthusiastic nature to learn something new. A very good creative skill as well. A very good knowledge of graphic designing. 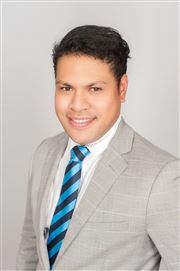 Priyani specialises in selling homes in the Central Auckland area. She lives and operates in the area and is passionate about clients enjoying all the benefits the area has to offer. 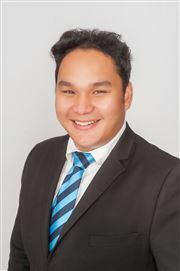 Having recently completed several sales and achieved results beyond vendors’ expectations within short timeframes, Priyani achieved the Top Sales Consultant Award for January to March 2016 from Ellerslie. 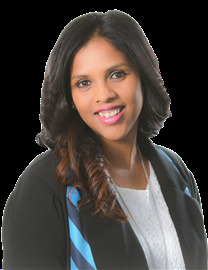 She is an award winning Harcourts Real Estate Agent who achieved her Ruby Pin in 2014 and won several other Awards. Her commitment to Real Estate gave appearance in Harcourts Northern Top 50 and New Zealand Top 100 in 2013 Harcourts. 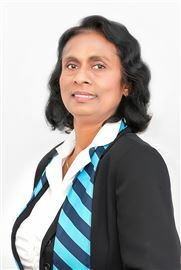 Priyani has well equipped herself after being in the Real Estate Industry for many years. Thriving on the competitive aspect of this business, she ensures that her customer service rises above the rest with an extraordinary amount of hard work and dedication. Priyani has a very positive and confident attitude, always looking to get the best out of any situation and enjoys her work immensely. Her priority is to learn about customers’ requirements, then create a marketing plan and sales strategy specifically to suit their needs - maximising the selling opportunities. 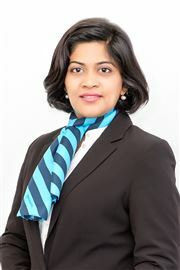 Born in the beautiful Island of Sri Lanka and having lived nearly 20 years in New Zealand, Priyani is well fitted to work with multi-cultural people. Her respect and understanding of each and every cultural belief and values makes it easy to work together. Priyani feels that, selling your most significant asset is an important financial and emotional decision and one that you need to be totally confident about every step of the way. She believes this can only be achieved as a result of constant communication, honesty and trust.